Holographic Wide Web Films is basically designed and manufactured using best quality materials and are extensively used in the packaging industry for flexible packaging. 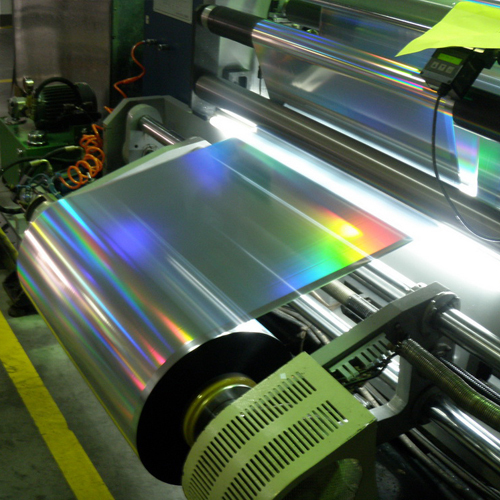 We make these films available both in PET (minimum thickness 12 microns) and Bopp (minimum thickness 18 microns) and are perfect for wrapping purposes. These films apart from brand protection, increases the brand value and curb counterfeiting of the end products by making it completely holographic. This wide web film is perfect for creating sequins for textile industry. The entire assortment of films endures prefect shine and ensures to highlights brand looks by boosting its looks. 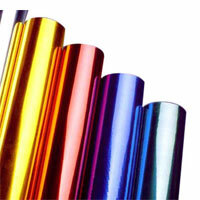 We customize these films in different sizes of rolls and designs as per the requirements of the clients.